THE WRITING BUDDHA - Opinions | Books | Movies: God Is A Gamer by Ravi Subramanian (Book Review: 4.25*/5)!!! 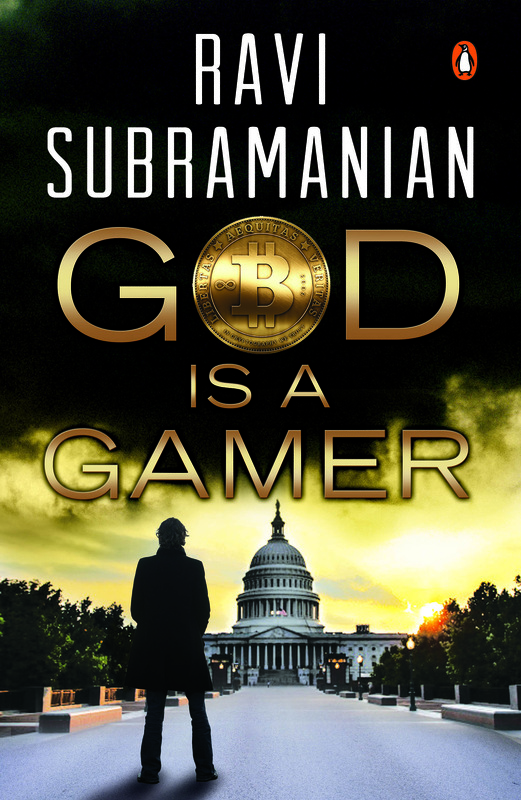 God Is A Gamer by Ravi Subramanian (Book Review: 4.25*/5)!!! Reading Ravi Subramanian’s book are a wonderful experience as he takes you into the world of banking and thriller and does not let you breathe normal once you start. I have been his fan since The Bankster and didn’t miss both the books that released after that. I am just done reading God is a Gamer which comes with a tagline- “Is revenge a crime?” And I tell you, readers, out there:- This is not a typical revenge drama but much more than that. I am astonished with the fact that Ravi comes up with a new plot line every time he writes a book in the genre of thriller. Not even a single sentence can be skipped. That’s the power of his writing. This 310-pages thriller does not let you keep the book aside even for a while. A perfect page-turner it is! Though like every book of Subramanian, you will find it little hard initially as the events unfold one after another, characters keep getting introduced back to back and terms that you have never read before are the main elements around which the book progresses. But gradually, you will find yourself intrigued in the book so deeply that you will never blink in fear of losing a nanosecond of experience. This is the first book that’s based on bitcoin thriller, as per the synopsis, and therefore, I should applaud author for choosing this topic for writing his new thriller. It has taken 3 years for Ravi to work on this story and write it. And it’s totally worth. The real fun of the book starts when Varun takes an entry and changes the whole scenario in which the Indiscape had been working since it got founded. The confidence that Aditya shows in him and the hatred of Sundeep towards Varun equalizes the pace of the story and gives a reader’s heart a chance to beat in its normal speed again. Haha! Malvika’s death and the involvement of Tanya in finding out the reason of her death, later on, the increasing closeness between Varun and Tanya makes the story more interesting and you want to know all of this is going to get spoiled ahead. Because the author does not let his book be a normal read till end. The shuffling of story between Washington, Mumbai, Goa and New York is exceptionally handled. The anti-climax is fun to read and I thought that the book is finished just there. But the next chapter made me realize that climax is yet to come and after finishing that particular chapter, I had nothing but lots of appreciation for the author. I just felt Adrian’s part little dis-engaging and uninteresting. Also I wished to see Sundeep in little more active scenario after Varun’s entry in the book. Too many characters with no brief introduction makes it hard to enjoy the story in its initial few pages. But in all, I would say that Ravi Subramanian is just creating competition for himself with each book. He is making his readers expect more from him with every announcement. I give this book 4.25*/5. It deserves to be in your bookshelf. Why do you always read only pop fiction ?